For this experiment a replicate statuette of Aphrodite was used. The statue was set in front of a background white surface. 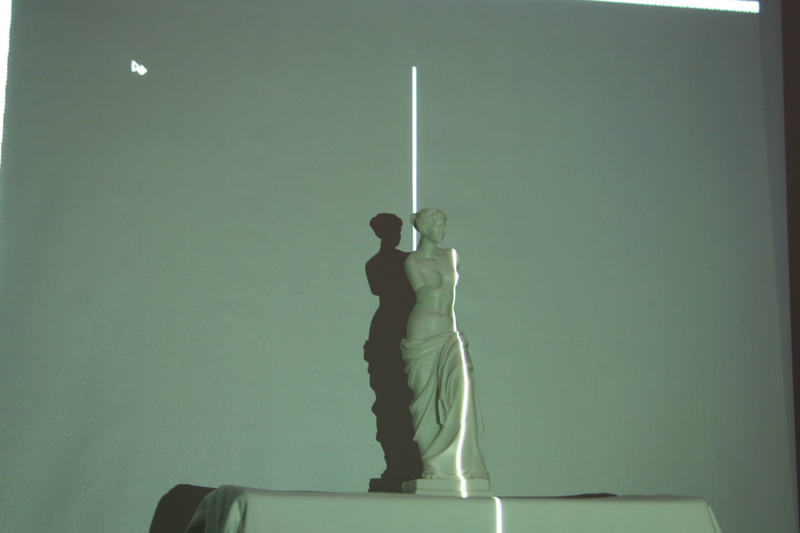 A projector connected to a computer was positioned at a distance of 2.80 m from the statue. Moreover, there were two viewing points, A and B as shown in the diagram. 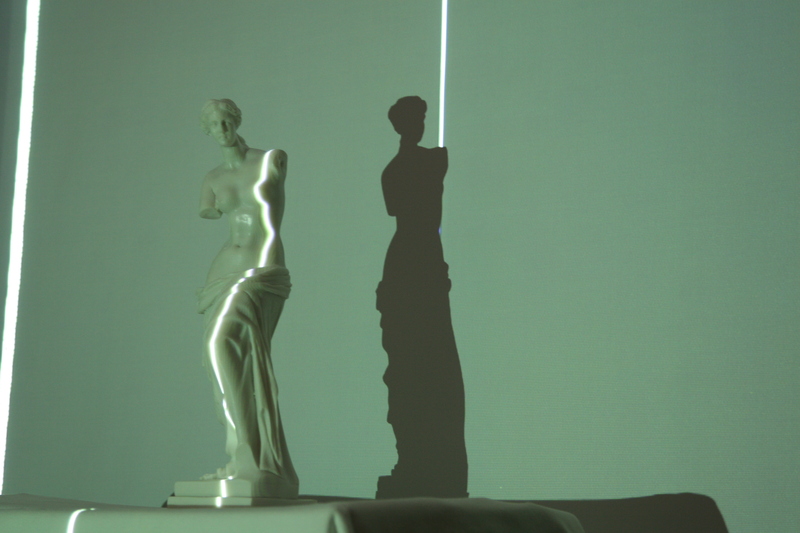 A vertical straight white line on a black background was projected on the statue. Through ten positions the line was moved from left to right. The deformation of the line when it hit the statue was apparent. Moreover, there is a great difference of the perception of the projection between viewing point A and B. 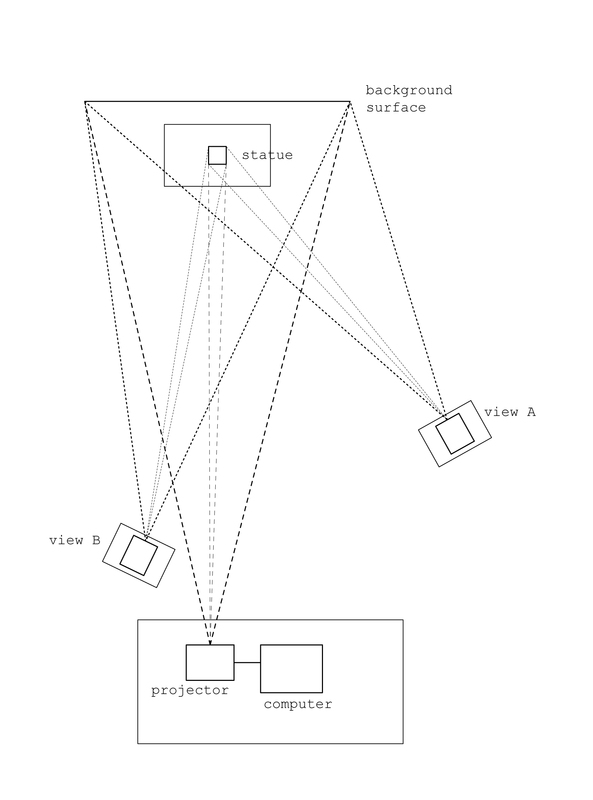 This means that multiple projectors should be used, which will be moving and changing their projection angle, according to each visitor’s position. Finally, another aspect that needs to be considered is that of the shadow that is casted behind the actual object.